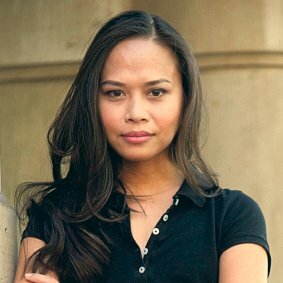 Influential Political Blogger, Sass Rogando Sasot takes a swipe at the former administration’s discernible neglect on the controversial anti – dengue vaccine, Dengvaxia as recent studies confirms it increases the risk of hospitalization and severe dengue in those who had never previously been infected with the mosquito-borne virus. On Monday’s post in her Facebook blog page, For the Motherland, Sasot urged, “Let's stop politicizing the issue and start accepting the fact that the previous administration put hundreds of thousands of lives of children at risk!”, citing an analysis of data presented by Sanofi’s dengue vaccine. 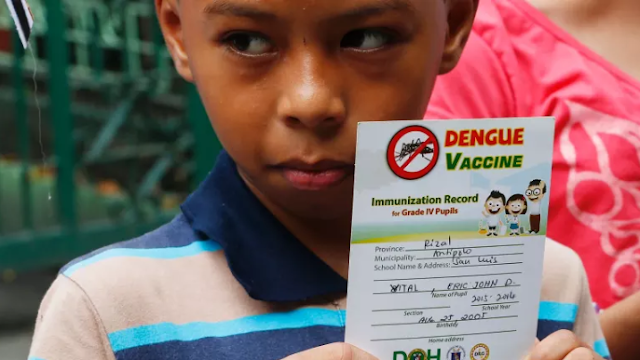 At least 800,000 school children in the Philippines became recipient of Dengvaxia for a mass vaccination program led by the Department of Health that costed around P3.5 Billion since 2015. Time passed, and a newly – developed test allowed Dengvaxia’s manufacturer, Sanofi determine which children had been previously infected. Sanofi only issued a warning on November of 2017 that its vaccine could increase the risk of severe dengue based on blood samples from children who received it. Researchers found out that if given to 1 million children over age 9, the vaccine could have prevented some 11,000 hospitalizations and 2,500 cases of severe dengue. But it could also lead to 1,000 hospitalizations and 500 severe cases of dengue in children who not previously infected. The study also revealed that there was a significantly higher risk of hospitalization from among those uninfected children, ages 2 – 8 years old, and a strong tendency towards increased hospitalization from among ages 9 – 16 years of age. Although it was not clear if that was a result of an immature immune system or an issue with the vaccine, Sanofi’s clinical trials also showed an increase risk of hospitalization between children with ages 2-5, 3 years after receiving the vaccine. Sasot have long expressed regret over former President Noynoy Aquino’s ‘hasty’ move to procure Dengvaxia. One of her blog post with a hashtag #DengGate previously read as, “Dengvaxia, the dengue vaccine, was first approved in Mexico in December 2015. Yet the Philippines was the first country that rolled it out en masse in April 2016. It was our country that first administered it through a mass immunization program. India wanted to wait a year or two to assess the vaccine's effects in Mexico before considering to allow Dengvaxia to be available in their country. Mexico started its immunization programme in September 2016 through a PRIVATE CLINIC launch. Hindi ito GOVERNMENT-SPONSORED launch katulad sa Pilipinas. The said post garnered around 4,000 reactions from her followers which have been shared more than 500 times. Meanwhile, former President Noynoy Aquino denied there was “RUSH” in the purchase of the controversial vaccine. Testifying during the Senate hearing, Aquino said that the health department saw an increase with cases of dengue since 2010 which eventually became endemic. “The problem started in 2010, you did everything that you could do. And then you are told that something is forthcoming, a new weapon against this disease. 2014 came, they said it was coming. And in 2015, it was finally ready. This problem has persisted since, what, the 1940’s or the 1950’s?” Aquino told reporters on the sidelines of a Senate probe involving purchase of Dengvaxia.